We’d love your help. 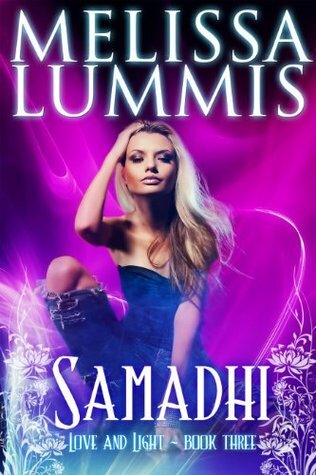 Let us know what’s wrong with this preview of Samadhi by Melissa Lummis. In this final installment of the Love and Light Series, the boundaries of love, lust, and even life itself will be tested and the universe as they know it will never be that same. To ask other readers questions about Samadhi, please sign up. I have enjoyed this series so very much!!! I love Loti and Wolf's love story so much! All the characters are interesting!!!! Melissa Lummis writes new age suspense in a fantasy setting, but her stories are also straight up, steamy adult romance. The Love and Light Series is currently available at most e-book retailers, as well as the Little Flame Series, a spin off focusing on the character Fiamette from the Love and Light world. Melissa Lummis considers herself a truth seeker and a peaceful warrior, in addition to a pa Melissa Lummis writes new age suspense in a fantasy setting, but her stories are also straight up, steamy adult romance. The Love and Light Series is currently available at most e-book retailers, as well as the Little Flame Series, a spin off focusing on the character Fiamette from the Love and Light world. Melissa Lummis considers herself a truth seeker and a peaceful warrior, in addition to a paranormal and fantasy author. With too many interests for her own good, she has rarely been content with one vocation. Her first professional life was as a high school English teacher, which led to another incarnation as a wife and an instructional designer /technical writer. After starting a family, she found herself reincarnated yet again as a mother, yoga instructor, and personal trainer.